Ignite Your Culinary Passions! Designed and Engineered in Italy. Pronto in Italian means ready and this Forno Venetzia oven is ready for succulent culinary adventures. The Pronto series of ovens are a great choice for those looking for a compact yet full featured oven. The 300 Series model features a light weight cart with wheels and a Oak handle that doubles as the oven tool holder. The Pronto 300 also includes a handy wood carry holder that hangs underneath the oven. Makes it easy to carry your firewood and have it close and convenient while cooking. Two layers of ceramic insulation over the dome and under the hearth keeps the heat in for superior cooking performance. Large enough for two personal sized pizzas. Bake, Broil, Grill or just enjoy a real wood fire. The Forno Venetzia Pronto will quickly become the focal point of all your cooking and entertaining. 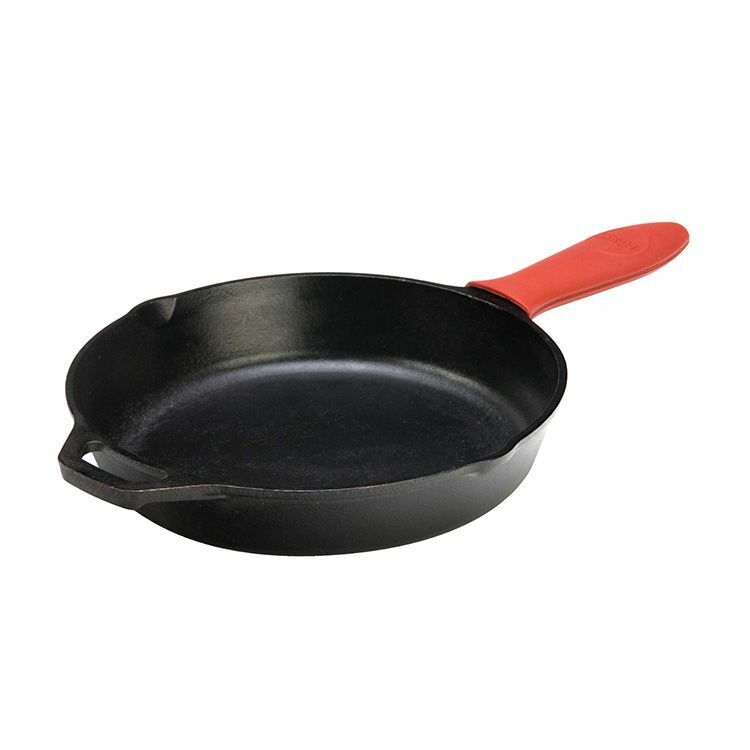 10.25 inch Skillet + Hot Handle Holder Combo Set includes a cast iron skillet and a red hot handle holder. Since 1896, the Lodge family has been casting premium iron cookware at our Tennessee foundry. As the sole American manufacturer of cast iron cookware, we are proud to carry on the legacy started by our great grandfather Joseph Lodge. We don`t just make products; we make heirlooms that bring people together for generations. At home in the backyard, the backwoods, or the ballgame. Brutally tough for decades of cooking.